Nice Manchester United N98 Jacket! Must Buy! Recently, I have bought a Manchester United N98 Jacket from bonanza. It is really nice and the price is reasonable. It cost only USD60 including shipping cost. It is cheaper than the other website such as soccer.com. I love it very much. You can see the back of the jacket with the Manchester United and the Nike tag. The most special thing is that there are the sponsor "AON" logo under the Manchester United badge. As AON is the last season for MU sponsorship, it is really worth collecting. Besides jackets, there are too many different Football club official jerseys with reasonable price. Also the seller is reliable and with good communication. I really recommend you to buy jerseys at www.bonanza.com/booths/wkwivan. We've passed the half-way point in what looks like being the closest Premier League title race in years - and with the transfer window open, all the top teams have a chance to dip into market for a player who could make or break their challenge. But who should the top contenders go for? I'm taking a look at the top seven teams in the table - and pick out the player I believe each one should make their priority in the January transfer window. It's pretty straightforward for Arsenal, isn't it? They need a striker. A proper striker. We all know they have the money, and now is the time to go out and spend it - because Olivier Giroud will not win them the title. 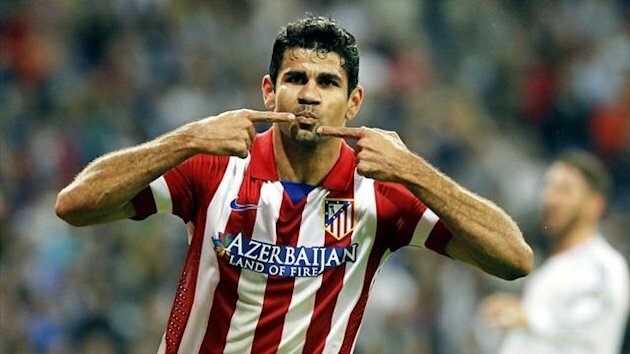 They need someone on the level of Diego Costa (pictured above)of Atletico Madrid - he would be my top choice if I were Arsene Wenger. There are other strikers out there, of course, but Costa looks like the one to me: he's big, strong and fast, and looks like he'd fit straight in to the Premier League. Gonzalo Higuain has been mentioned as well, but I just don't think he would work out: he doesn't seem like he'd be up for English football. Argentine players have a patchy history in the Premier League: Sergio Aguero is doing brilliantly, but we all remember the likes of Juan Sebastian Veron as well. Of course, the Gunners will probably be regretting not pushing themselves to £60 million over the summer for Luis Suarez. That may come back to haunt them as it wouldn't be anything like enough to buy him now, but Costa's a player who could make that decision fade into insignificance. City clearly need a new centre-half. Manuel Pellegrini isn't a fan of Joleon Lescott for whatever reason, and as far as I'm concerned Martin Demichelis is an accident waiting to happen. He's a reckless defender - exactly what City don’t need when their only real problem is the occasional lapse at the back. The problem for City is that top class centre-halves are very hard to come by - there's a real dearth of them at the moment. 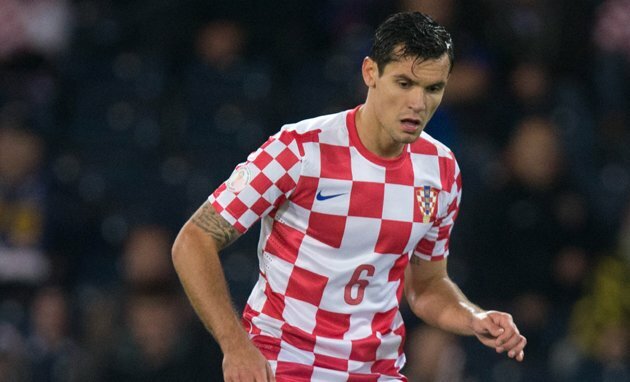 But if I was Pellegrini, I'd be banging on Southampton's door to enquire about Croatian international Dejan Lovren. He's been absolutely excellent this season, and I've no doubt that he's a man who could play for a top club. And the best thing is that you've no worries about him adapting to the Premier League: he's only been here for six months, but he's already shown that he's adapted perfectly to the English game. Like Arsenal, Chelsea need a striker - perhaps even more so, because there have been plenty of times this season that they've looked like they're playing with 10 men. Elsewhere the team is looking great: I've been really impressed with the way the players are starting to click under Mourinho's guidance, so if they can fix the problem up front they'll look formidable. 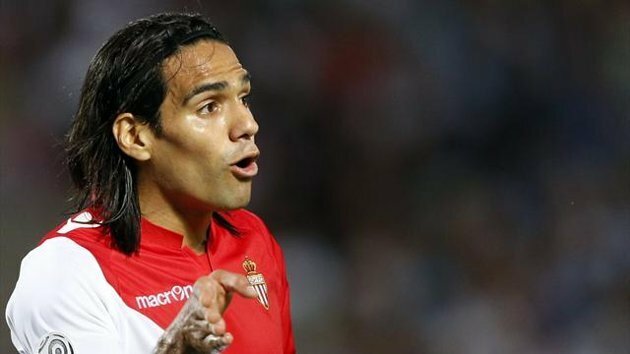 With the way they play, however, I'd see a slightly different striker fitting the bill for the Blues: Radamel Falcao. He doesn't seem at all happy after his move to Monaco in the summer, and that hasn't surprised me at all. It was a move a bit like Samuel Eto'o going to Russia a few years ago - you just wonder what on earth is going on. Some people might have thought that he'd go to France and bang goals in for fun, but it doesn't work like that: he's a big player, and needs to be in a big team playing big matches. Monaco might have the money, but it's not really top football; and I think the club would be happy to sell him on again if they got their £50 million back. Given their recent losses and the Financial Fair Play rules, that sort of outlay might be tough for Chelsea - but if they need to clear the decks to get a new striker in, then so be it. Demba Ba, Fernando Torres, Juan Mata and maybe even David Luiz could all be offloaded - the Blues have to do everything they can to get a proper striker. In the last few years we've got used to pigeon-holing midfielders: this player's an attacking midfielder, that one's a holding midfielder. But there's really no reason why they shouldn't do it all - and that's exactly what Liverpool need: an all-action midfielder. It's time for them to start getting ready for Steven Gerrard's eventual retirement - and they need a central man who can pull the strings for the whole team. 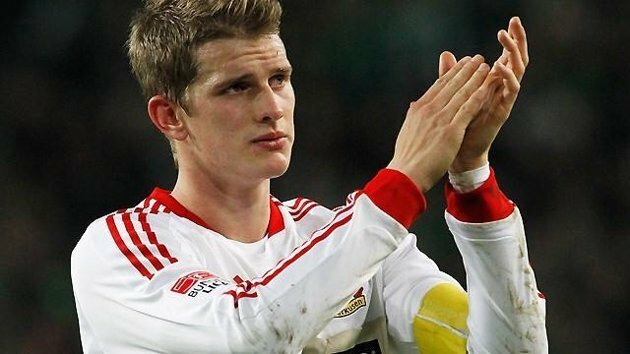 And I believe there's a player who fits the bill perfectly: Bayer Leverkusen's Lars Bender. He's 24, he's already been around for several years, he's broken into the German national team - and best of all, I see him as a player who is on the verge of making major improvements. I think we'll see him get 20-25 per cent better in the next six to 12 months - and if he ends up being one of the stars of the World Cup, his price would at least double. Liverpool need to make a move now. What can you say about Everton? Of course they need better players in several positions if they want to keep up their momentum, but the truth is that they can't afford them. Having said that, the one area they could really improve is at the back - and a new centre-half could make a big difference. I think they really missed a trick when they sat on the sidelines and let Steven Caulker go to Cardiff - he's exactly the sort of player they should have been in for. 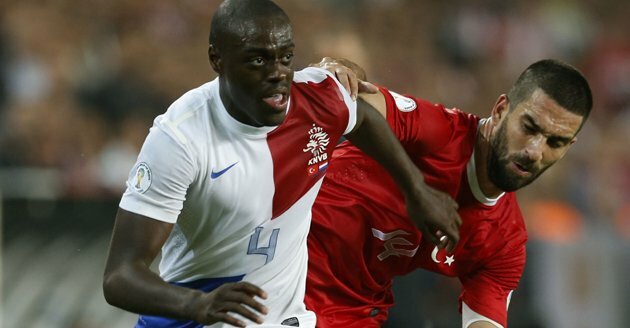 Caulker is not an option any more, but Bruno Martins Indi of Feyenoord would be. He's Portuguese-born but has been based in the Netherlands for years, and has now broken into the Dutch national team as well. He'd be a great addition for the Toffees. I think Spurs are well-equipped to be honest, especially in midfield. The one place they need bolstering is up front. Roberto Soldado has started looking a bit better of late, but he's still not really convincing. It's one thing for Southampton to have someone like Jay Rodriguez with eight or nine goals as their top scorer, but Spurs have big ambitions - and they need more. Ironically enough, having said that, I actually think Rodriguez could be just the thing Tottenham are missing. He's good, but I see a huge amount of potential for improvement in him - he's a player who hasn't reached his level yet. 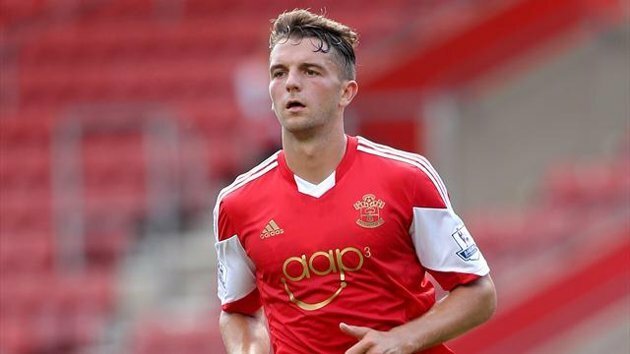 You might wonder whether he'd want to leave Southampton, of course. It's a club that clearly has a fantastic atmosphere and a great buzz right now, and walking away from that to a club where he'd fear sitting on the bench every week might not appeal to him. But the reality is that clubs like Southampton will always struggle to hold on to their best players. Rodriguez, Adam Lallana and several others will have to move if they want to reach their potential - and moving to a big, well-established club will always make sense for them in the long run. Honestly, where do you start? I mean, United do okay when they're on the ball - but they just aren't good enough off it. Spurs just ran away from them on New Year's Day. Danny Welbeck and Javier Hernandez don't look up to the job of filling in when Wayne Rooney and Robin Van Persie aren't available - that's a problem - but even when Rooney or RVP play, they're tasked with lifting the whole team. That shouldn't be their job: it should be down to a big man in midfield, inspiring and lifting the team. And that's what United need above all else: a midfield general to follow in the footsteps of Eric Cantona and Roy Keane. I was baffled this summer when United showed no interest in Fernandinho, for example - he was exactly the sort of man I thought they needed, and it's been no surprise to me how well he's done at City. United have had this problem for a long time, though. I was on TV a few years ago talking about Bastian Schweinsteiger, and I said at the time that United absolutely had to buy him before Bayern Munich became the best team in the world - because once they were, they'd have no chance of bringing him in. It's too late for that, yet despite United's woes they still have a big name and plenty of money - and they will be able to attract someone. The trouble is finding someone good enough for what is a very difficult job to do. Xabi Alonso seems unhappy at Real Madrid, and I do believe that he could still do a job for United - though of course he's not a long-term option. 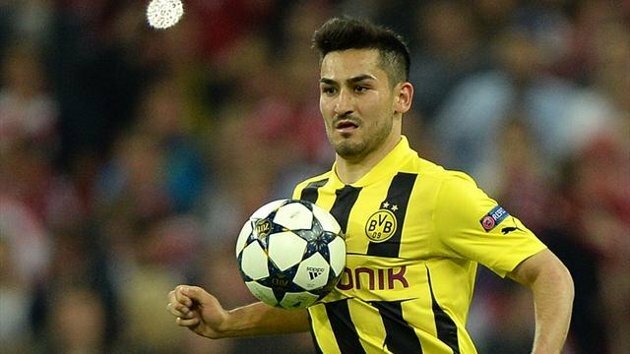 So the man I think they should go for is Borussia Dortmund's Ilkay Gundogan - an absolutely super player. The obvious question is why would he leave? And it's a fair point since Dortmund is one of the most exciting clubs in Europe right now. But the fact is that players do want to move on; and every club has its breaking point. United know all about both those things - and they have the money and prestige to take advantage of them as well. Given that their future success is on the line - even if this season is probably a write-off already - they absolutely have to spend the money to get the right person in. DO YOU AGREE? PLEASE FEEL FREE TO SHARE YOUR IDEA WITH US! Former Manchester United striker Ole Gunnar Solskjaer was named as manager of Premier League strugglers Cardiff City on Thursday and told the fans one of his immediate aims was to finish higher than rivals Swansea City. The 40-year-old Norwegian, who earned a place in United's history by scoring the winning goal in the 1999 Champions League final against Bayern Munich, replaces Scot Malky Mackay who was fired last week. And just as he did as a player, Solskjaer hit the target perfectly when he told a news conference: "I would like us to finish above Swansea, that must be an aim...that will be important for everyone here." Cardiff are fourth from bottom while Welsh rivals Swansea are four places higher in the table. Solskjaer also discounted suggestions that former United manager Alex Ferguson had tried to dissuade him from taking the job. "Absolute nonsense," he said. "He has given me his advice and wished me all the best. "It's a fantastic challenge to be here, it is the right step for me now," added Solskjaer. "What Cardiff have shown in the last three or four years - being in the play-offs, being promoted and in a couple of cup finals, they are ready for the next step and hopefully I will be the one who can do that with my philosophy of football. "One of the factors that intrigued me most about Cardiff is the passion of the fans and that they love the club - the support they give their heroes. "If you want to manage a football club you really want that passion." 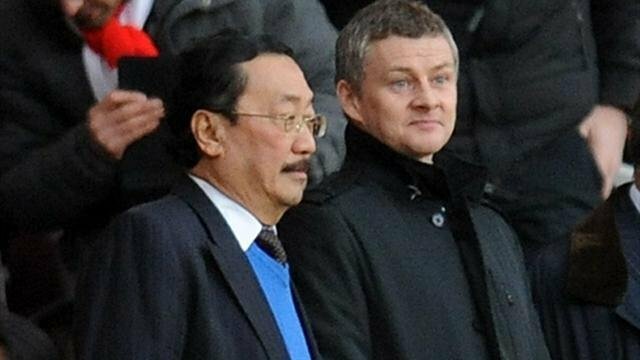 Solskjaer said he had a "rolling contract" and was unconcerned about the controversy surrounding Cardiff owner Vincent Tan. He added that the biggest decision he had to make was to uproot his family from their home in Kristiansund in Norway where he has lived while managing Molde for the last three seasons. Caretaker David Kerslake has been running Cardiff since Mackay left and Solskjaer inherits a side one point above the relegation zone after losing 2-0 at leaders Arsenal on New Year's Day. The former Norway striker led Molde to the first league title in their 100-year history in 2011 and retained the crown a year later. They also won the Norwegian Cup last year. The task Solskjaer faces now will be focused on survival rather than titles as Cardiff battle to preserve their top-flight status, achieved last season under Mackay after an absence of 51 years. Mackay was sacked after falling out with billionaire Malaysian owner Tan in a series of public squabbles and despite being acclaimed by fans as the best manager the club has had. Solskjaer, who sat next to Tan at Arsenal on Wednesday, will be in charge for Saturday's FA Cup third round tie at Newcastle United. "It is great to be right back in the thick of it, back in the Premier League," he said. "What assurances have I had? I have had great chats with (chairman) Mehmet (Dalman), I met the owner again yesterday and they have convinced me they want me to be in charge and to take the club forward. "I don't really need any more confirmation than that." 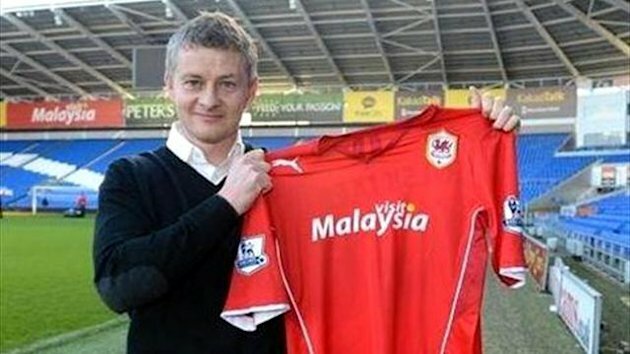 CAN SOLSKJAER SURVIVE AT CARDIFF CITY? HOW LONG CAN HE BE THE BOSS? PLEASE FEEL FREE TO SHARE YOUR OPINION. England Tottenham Hotspur club officially announced the team 2013-14 season new home and away jerseys. The new season is the U.S. brand UNDER ARMOUR cooperation with Tottenham club's second season, the new season home white jersey clothing Collar impressive, innovative open collar is dark navy blue and white color stripes around the same time have such a striped cuffs, the new season home shorts and socks, navy blue color is dark and deeper than ever before, this For the 1960s meant that sticks up successful Hotspur tribute. From the new season away jersey shirt shorts and socks are the same color - called Capri vibrant bright blue, the new season away jersey is covered with irregular geometric patterns embossed with the 1990s style. Hewlett-Packard to become the new season club jersey main advertisers, new season club jersey are all printed on the circular HP ad. German club Borussia Dortmund in August 29 announced the new home UEFA Champions League kits before the draw of New season UEFA Champions League. The new jersey is simple and bright yellow shirt with black sleeves and collar is designed to be a black lapel. New Jersey, including the chest and sides Puma Logo stripes and other details are specially designed fluorescent effect, inspired by the legendary 50 years ago, that piece of the "floodlight jersey (Flutlicht-Trikot)", 12/1963 that can carry into the annals of the night, the team of Red Earth Stadium in Dortmund (Stadion Rote Erde) 5 to 0 victory over the last runner-up Portugal Benfica, new jersey collar also records the text within that period of great history. Italy Juventus 2013-14 New Jerseys officially announced the new Jersey shows Nike's inhernet belief, sytle, technology and pride. At the same time, the most advanced technology and environmental technology helps players in the game to have a more good performance. New season away jerseys color scheme from the club's home city of Turin. Yellow and blue is the symbol of the city, new jersey design inspiration comes from the same club last winning 1983-84 season. The club which won the European Cup Winners Cup, also wore the yellow shirts. New jersey collar is a sytlish modern Polo collar. Collar decorated with a black line and cuffs are black ad white stripes. Stripes sowell known is the club of the world's symbols. Neck black shield inner label is the year the club was established in 1897. Nike company has always focused on improving atheltes' performance while reducing the production process of the environmental impact. Each section jersey shirt and shorts made from recycled polyester material. The materials used in each jersey comes up to 13 plastic bottle. In this innovative production process, the plastic bottle is cut inot a sheet and then melt into yarn for further weavingfabrics. The recycling process and the direct production of polyester materials, reduced energy consumption by about 30%. Since 2010, Nikehas recovered from landfill over 1.1 billion plastic bottle to be used to produce recycled polyester material. Jersey weighs only 150 grams, lighter than the pervious Nike Jersey 23%. Meanwhile, the knitted structure robustness increased by 20%, greatly improved stretchability. Jersey fabric with Nike Dri-FIT technology to quickly bring high-tech fabric excreted through sweat, keeping the body dry and comfortable player. Jersey and shorts located on both sides of the waist breathable zone, the distribution of laser-cut holes, ensuring comfort and breathability. Meanwhile, the back mesh structure are to maintain air circulation. Nike creates a 3D body scanning technology, by scanning the body to make the world's top players jeseys body more fit athletes. Jersey important parts of the seams and the seams insidethe interface using the T-fitting techniques, tailoring coherent, beautiful and at the same time ensuring comfort and improved performance of the players. UK local time on June 4, Liverpool Football Club official announced the team 2013-14 season, New Jersy. The groundbreaking desings by Warriors is inspired by the 1981 Liverpool's Jersey which win the League Cup this yea. The Liverpool Football Club involved in the entire design process jersey, Warriors general manager Richard Wright said. "We believe this is not only the continuation of the team away jersey long-standing tradition, yet also a fresh feel. Liverpool football club involved throughout the design process, emphasizing the link with the previous jersey also helped us deign fans agreee jersey." Liverpool Football Club general manager Brendan Rodgers agrees. "Yes jersey to gather together a team, for the team players also for the fans. Indeed, recalling the history of the team appeared shirts, Warrior desgin is very impressive." Rogers said. Shirt in black and white color, red as a secondary element, with strong traditional style. By a top jersey, shorts to socks gradient echo each other, match just right. In addition to traditional colors and contemporary collar and eye-catching patterns are also eye-catching diamond pattern. Inspired by the Liverpool 1989/91 away kit, while incorporating some new interpretation to detail. "I really like this shirt, it's color pattern is unique and I'm looking forward to wearing it next season to race." Liverpool striker Daniel Sturridge said. To commensurate with the home jersey, away jersey retains full embroidered chest at Liverpool birds pattern around the eternal flame still figures 96 jersey back of the neck. Shirts with the main use of high air permeability and wicking capabilities War-Tech fabrics. Four-way underarm and back elastic reticular fibers, dry high, can help regulate body temperature and keep players comfortable.